Two weeks after finishing 20th at the World Weightlifting Championships in Antalya, Turkey, Concordia student Emily Quarton is participating in her second Commonwealth games this week in Delhi, India. “We compete so rarely in international events. The last time I competed internationally before Turkey was in Korea in November of 2009, so it’s been almost a full year,” said Quarton, who had mixed feelings about her performance in the Olympic qualifier in Turkey. 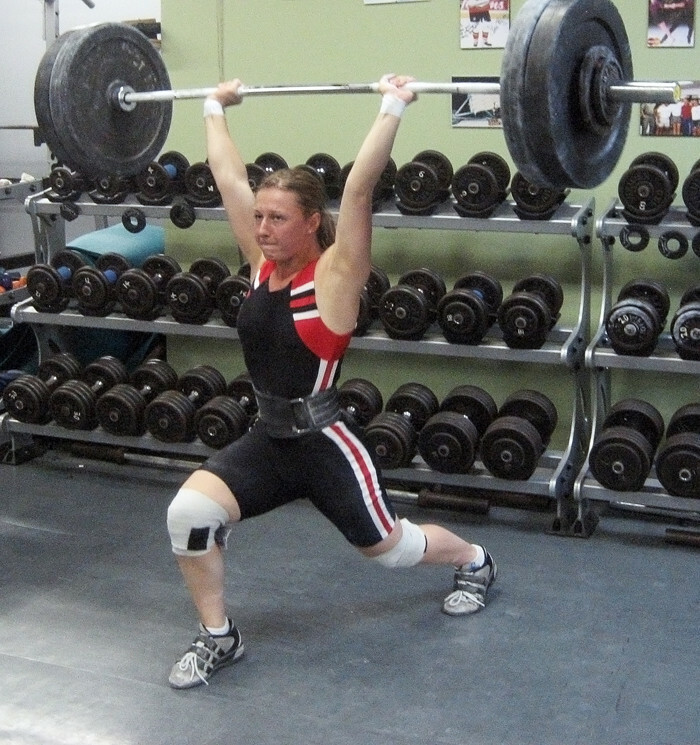 Before moving to Montreal from Whitehorse, Yukon in 2003, Quarton had started climbing the ranks as a weightlifter and knew she wouldn’t leave the sport behind. It wasn’t easy at first, as Quarton had to do without the guidance from her coach and it took a lot of personal will to eventually gain the title of a top female weightlifter. When she arrived here at the age of 19, Quarton found a job as a coach in her second passion—gymnastics. Quarton doesn’t feel driven to compete in gymnastics as she does with weightlifting and credits her parents for allowing her to make her own decisions, including her choice to pursue weightlifting at a high level. Quarton enrolled in Concordia’s early-childhood education program and has been impressed with the amount of understanding and support shown by her professors. “Concordia has some great teachers. I mean I’m missing three of the first five weeks of school and I haven’t had one teacher give me any trouble,” she said. Quarton won a silver medal in the 58 kg category at the 2006 Commonwealth Games in Melbourne, Australia. Although she knows of the recent problems that have arisen in preparation for the Games in Delhi, she believes the problems concerning the city have been overblown. Following her experience in Delhi, assuming the games go off without a hitch, Quarton will contemplate retirement, explaining that her fitness has taken a bit of a dip and that she’s put many things on hold during her career and wants to focus on school. “In January, I’m starting my first of three stages that are going to be back-to-back for eight weeks, 40 hours a week. It’s going to be pretty intense from what I heard from my colleagues, so I want to put my energy there,” she said. Quarton plans to stay in Quebec, as she just recently moved to the West Island with current coach and boyfriend Vincent Paquin. “I feel a little bit more at home in Ile Bizard than when I was living downtown. It sort of has that small town feel,” said Quarton.